Check out Nescafe Dolce Gusto Chococino, a yummy chocolate drink with notes of vanilla and a creamy milk froth. Chococino is a perfect drink for adults and children. Nescafè Dolce Gusto Cortado Espresso Macchiato. 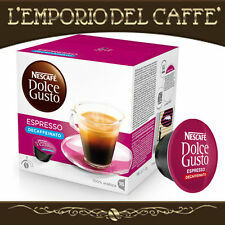 Nescafè Dolce Gusto Espresso Decaffeinto. Compatibilità Dolce Gusto. 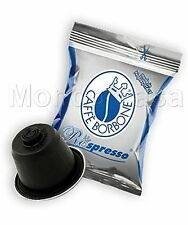 Prized 100% Arabica blends produce decaffeinated Espresso, coffee and caffeine-free, rich and intense taste and aroma of an authentic espresso from the bar. • Simply follow the instructions on your coffee machine for the descaling operation. • Gentle and easy descaling WIth the power of active oxygen. With these descalers, you can easily remove stubborn calcium deposit in your machines. Traditional manual espresso coffee machines. Use 2 tablets if you are in a soft water area in 0.5 litres and water and follow the instruction of the appliance. Use 1 tablet if you are in a soft water area in 0.5 litres and water and follow the instruction of the appliance. Traditional manual espresso coffee machines. By using this product to descale your coffee machine it will improve the boiler heating efficiency and the taste of your coffee. Use 2 tablets if you are in a soft water area in 0.5 litres and water and follow the instruction of the appliance. Bean to cup automatic coffee machines with a descaling program. 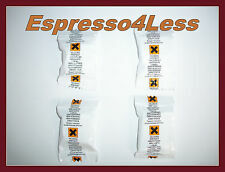 Traditional / manual espresso coffee machines without a descaling program;. With these descalers, you can easily remove stubborn calcium deposit in your machines.Gentle and easy descaling WIth the power of active oxygen. Trending at $9.38eBay determines this price through a machine learned model of the product's sale prices within the last 90 days. Starbucks House Blend And Krups Grinder. Condition is New with grinder in box. The house blend is whole bean and perfect to use in your new grinder. Medium roast with smooth, balanced flavor. Let me know if you have any questions! Happy bidding! Model: KP350B. suitable system: Nescafé Dolce Gusto. This product will not work in USA, Canada, Japan and other countries with 100-120V, unless you are using a step-up converter. Printing system: pump pressure system. Model: KP1301. suitable system: Nescafé Dolce Gusto. We will compare serial no. Height: 389 mm. System or system compatible: single operation. Countries as:Israel! Automatic shutdown: yes. Brewing technology: Thermoblock. Suitable system: Nescafé Dolce Gusto. Color: black / anthracite. We will compare serial no. Material water tank: plastic. Countries as:Israel! Creamy < span class = "notranslate" > perfectly toasted, dosed and full to give you a unique coffee. 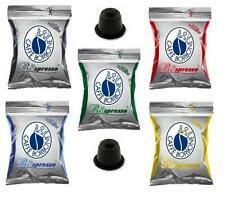 Nespresso machines. Minimum 12 months. Creamy < span class = "notranslate" > perfectly toasted, dosed and full to give you a unique coffee. Minimum 12 months. Espresso Decaf :decaffeinated with pure water, steam and aromatic natural substance already present inCaffè without other AIDS. Intense and creamy soft flavour and intense. Strong and pleasant with hints of chocolate and persistent aftertaste. Espresso Decaf :decaffeinated with pure water, steam and aromatic natural substance already present inCaffè without other AIDS. Intense and creamy soft flavour and intense. CREAMY ESPRESSO. Creamy soft flavour and intense.